Leah Beveridge graduated from the Interdisciplinary Studies of Aquatic Resources Program at St. Francis Xavier University in 2012 with a B.Sc. in Biology and Aquatic Resources. During her undergraduate degree, she participated in research on the Dulse industry of Digby Neck and invasive species of sand dunes, while her honours thesis assessed the state of the sand dunes of western Cape Breton Island. She chose to pursue a Masters of Marine Management because she recognized the need for integrated management, and that in order to achieve this, there is a need to bridge the gap between science, stakeholders, and policy. Thus far in the Marine Affairs curriculum, Leah has developed a desire to assist stakeholders in building their capacity in order to facilitate integrated management. During her internship, she is hoping to help stakeholders collaborate by increasing their understanding of the science surrounding an issue. Melissa Cano was born and raised in Panama, where she completed her undergraduate degree at the University of Panama. She graduated with a Bachelor’s in Biology, with specialization in Zoology. Her thesis focused on the density of algae in a coral reef in the Gulf of Panama. During and after her thesis, she worked as a naturalist guide for three years at a natural monument park, administrated by the Smithsonian Tropical Research Institute. Through this institution, she was able to attend the International Whaling Commission Meeting that was held in Panama at that time, gaining some exposure to the Panamanian proposal for avoiding shipping collision with marine mammals. With the Marine Affairs Program, Melissa would like to focus her research on the understanding of fisheries management models and marine transportation. She hopes that after completing this program, she will return to Panama and use this knowledge to serve her country. Mark Chupick is a part time student in the Marine Affairs Program. He is currently serving as a senior officer in the Royal Canadian Navy on the staff of the Canadian Forces College in Toronto. Formal education includes a Bachelor of Arts degree (Political Science) from Dalhousie University and completion of the Canadian Forces College program in International Defence Studies. Mark’s diverse military background includes a number of years working with the United States Navy to detect and analyze anthropogenic noise sources in the Atlantic Ocean and a deployment to Kabul as a strategic advisor to the Afghan government on the design and implementation of the Afghanistan National Development Strategy. Mark plans to concentrate on law and policy aspects of marine management particularly regarding how they relate to the regulation of man-made sound in the world’s oceans. Mark enjoys jogging and regular gym workouts and is committed to life-long learning. Jeremy Corbin is a Master of Marine Management candidate at Dalhousie University, Nova Scotia. He graduated with a Bachelor of Science (Honours) degree in Marine Biology and a minor in Environmental Science from Dalhousie in 2012. His research experience includes an internship at the Blue World Institute for Marine Research and Conservation (Croatia), where he worked to develop the framework for a new division of bottlenose dolphin acoustics research in addition to assisting ongoing field and lab research. He also produced an undergraduate honours thesis which focused on the illegal shark finning trade within Canada and the application of shark skin as a species identification tool. Currently, his research interests lie in the area of climate change mitigation, the development of sustainable technologies and the incorporation of public participation within climate change management strategies – three broad, yet interconnected topics within the realm of the Marine Affairs Program. Graduate Project Research - Restoring mangrove forests in Indonesia’s Tanjung Panjang area through the use of market-based incentives: Lessons learned from international case studies. 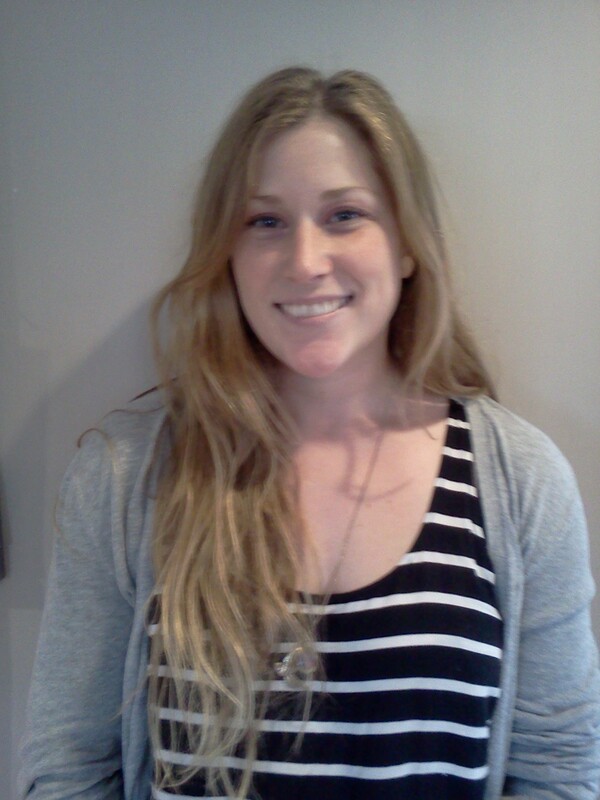 Born and raised in Halifax, Nova Scotia, Jessica Corkum completed her BScH at Saint Mary’s University. There, she obtained an undergraduate NSERC to complete her honors fieldwork on the foraging ecology of bats in Kejimkujik National Park, from which she successfully completed her thesis. Following graduation, uncertain of her desire to ultimately pursue a career in wildlife ecology, Jessica moved to Oceania, travelling around New Zealand, Australia and Fiji. Throughout this time she undertook many diverse and interesting volunteer positions, some of which were more research oriented while others focused on community action. These experiences, along with her passion for the ocean lead her to pursue the interdisciplinary Marine Affairs Program at Dalhousie. Her current interests lie in coastal access and fisheries management; specifically how to utilize the wealth of human capital in Nova Scotia to achieve effective and sustainable progress in these areas. Amber Creamer is from Milford, Nova Scotia and currently resides in Halifax, Nova Scotia. 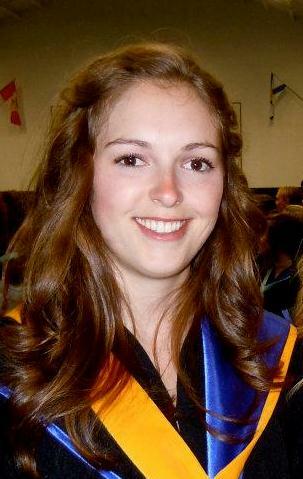 She graduated from Dalhousie University with a Bachelor of Science with honors in Biology in April 2012. Her undergraduate honors research was focused on coral reef resilience in two Honduran islands, a marine protected area and a popular tourist destination. She chose Marine Affairs because she has always felt connected to the ocean, and would like a career that helps to sustain it for future generations. She is interested in fisheries, and hopes to focus on sustainable fisheries management practices during her Master’s degree. She also has a passion for marine mammal studies and conservation. Graduate Project Research - Operational Conflict between Seals and Fisheries: Recommendations for Approaching the Problem in Atlantic Canada. Ashley David grew up in Cape Breton, Nova Scotia and is a part-time student with the Marine Affairs Program. She earned her Bachelor of Science from Dalhousie University in 2007 with honours in Environmental Science. Her thesis project evaluated the benthic habitat quality of the Halifax Harbour using foraminifera as an indicator species. Since completing her degree, Ashley has worked on various environmental engagement programs at Clean Nova Scotia, a non-governmental not-for-profit organization based in Dartmouth. Ashley is currently the Ship to Shore Program Coordinator at Clean NS and works with commercial fishers in Nova Scotia to facilitate stewardship programs that aim to improve waste handling practices. Ashley enjoys outdoor activities and spending time with her fiancé, friends and family. 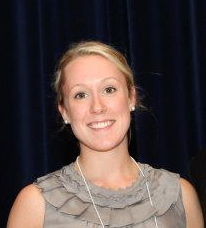 Andrea Flynn is currently a candidate for the Master of Marine Management (MMM) degree here at Dalhousie University. She is a recent graduate of St. Francis Xavier University, where she completed a Bachelor of Science, with Honours in Biology and a Major in Aquatic Resources. Her Honours thesis focused on a newly described invasive plant species that is abundant on a local barrier beach sand dune system in Antigonish, Nova Scotia. 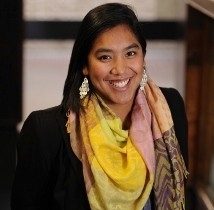 After studying science in her undergraduate program, Andrea decided to pursue a management degree that would allow her to help bridge the gap between science and policy. Andrea’s current interests lie with fisheries and aquaculture, as well as the use of traditional knowledge in policy formation. She plans on pursuing an internship project working with Indigenous groups and the integration of traditional knowledge into fisheries policies. Abdulraouf Hamrouni graduated in 2002 from The Academy of Maritime Studies in Libya with a Bachelor’s degree in Marine Sciences. His previous background is in Marine Navigation. He worked as a second mate on board ships, and as a result of his high ability and performance he was promoted to be a desk officer on board marine oil rig in the oil & gas field. He is pursuing the Master of Marine Management degree for many reasons. First, during his work experience, he became more interested in studying marine transportation and its policies as they meet his previous study. Second, he has a good practical background in the field of marine transportation and wants to know more about the theoretical aspects of this field. In addition, there is a lack of qualified people in marine management in Libya; therefore this degree will benefit both himself and his country. Martín Leguizamón graduated from the Colombian Naval Academy in June 1992. He has as an undergraduate degree in nautical sciences, a bachelor’s degree in physical oceanography and a post graduate degree in environmental management. He served in command and various staff positions in surface, riverine and submarine units. He spent over twenty years in the Colombian Navy as an operations, planning officer, head of operations, chief engineer, acting executive and commanding officer of the Colombian submarines. While in the Navy, he developed expert skills in assessment technology for marine applications, especially applied to acoustics, navigation, communication and detection, as well as in naval projects management. He retired as a Commander and during his naval career he completed the different staff and command prerequisites, as well as a specialization in Public Administration and certificates in Strategic Leadership and Project Management. Since his arrival in Canada, he joined the Bras d’Or Institute as a Research Associate in 2011. He provided physical oceanographic input to ecosystem assessment projects. He evaluated a broad range of bathymetric, hydrodynamic, and hydrological features that impede the ability of acoustic receivers to detect tagged salmon. 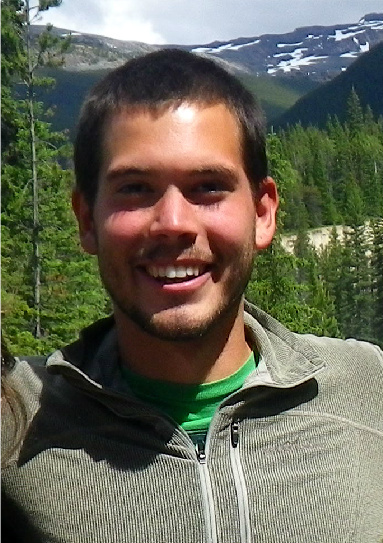 Currently he is a Master of Marine Management Candidate at the Dalhousie Marine Affairs Program. Paul Kendrick is a part-time student in the Marine Affairs Program. Paul has seagoing experience aboard oil tankers, and Coast Guard icebreakers, buoy tenders and search & rescue vessels. Paul came ashore in 1984 as a Maritime Rescue Coordinator and in 1992 transferred to the Environmental Response Sector where he made substantial contributions to the implementation of Chapter 36 of the Canada Shipping Act. Over the last thirty years, he has worked on numerous maritime search and rescue and environmental response incidents including the recovery of the barge Irving Whale and the response to the Swissair crash. Mr. Kendrick currently is the Coast Guard Lead Officer in the Marine Security Operations Centre in Halifax. Jessica MacIntosh comes from Melmerby Beach, Nova Scotia. She recently earned a Certificate in GIS for Environmental Management from the University of Toronto, and in 2010 she completed her BA (Hon.) in International Development Studies with an emphasis on Caribbean History at Dalhousie University. 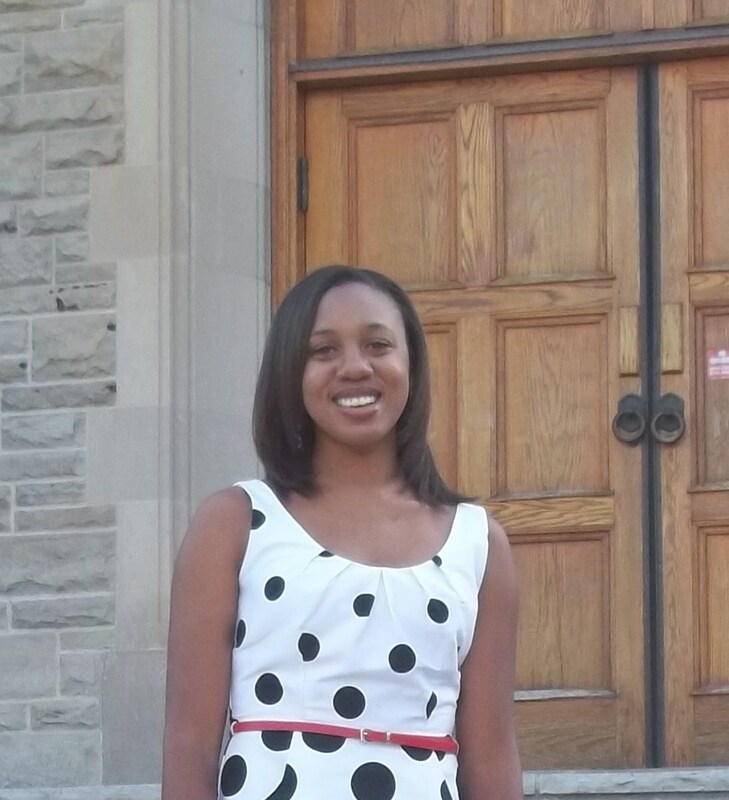 Jessica’s honour’s thesis focused on the social, economic, environmental and political effects of the 1983 US invasion of Grenada. As an MMM student, Jessica’s major research interests are diverse, but motivated by prevalent issues in Nova Scotia, and large marine ecosystems like the Caribbean. They include the application of GIS in marine spatial planning, public coastal access, the accessibility of science and policy within participatory co-governance, and collaboration between sustainable aquaculture and capture fisheries. Throughout her academic career, Jessica has traveled throughout Canada and the Caribbean on environmental sustainability projects, and facilitated marine education on traditional sailing vessels. She has worked in Search and Rescue with the Canadian Coast Guard, as a Fisheries Observer in the North Pacific, and is pursuing Transport Canada seafarer’s certification. Graduate Project Research - The Tragedy of the Independent: Public Policy and Traditional Recruitment in Nova Scotia’s Small Boat Fishery. Leah McConney developed a passion for the marine environment growing up, while exploring limestone flats and coral reefs in Barbados, her mother’s homeland. She attended the University of Guelph, in Guelph, Ontario, and completed a Bachelor of Science Honors in Marine and Freshwater Biology. During her undergraduate degree she completed research on ocean acidification and went to Fiji for a semester to study at the University of the South Pacific. Leah is very excited to be part of the Marine Affairs Program, and is participating in a range of different courses including Fisheries Management, Politics of the Sea, and Marine Protected Areas. She is also the President of the Marine Affairs Student Society, a member of the Black and Gold Dance Team, and a mentor through the Imhotep’s Legacy Academy, as Leah loves immersing herself in her community. Graduate Project Research - Monitoring and evaluation of Canada’s Oceans Act marine protected areas: Recommendations for governance, socio-cultural and socio-economic indicators. Anna Naylor completed her BSc. Honours Marine Biology at Dalhousie University in May 2012. Her honours thesis focused on the ecosystem approach and its application towards the Eastern Scotian Shelf, supervised by Dr. Patricia Lane. Upon completion of her bachelor’s, she travelled to the Isle of Youth, Cuba, for five weeks through Operation Wallacea. There, she volunteered with local scientists and worked on ongoing projects such as manatee surveys, beach transects and a shark tagging project. A certified Advanced Open Water Diver, Anna also dove in Cuba and did underwater transects, stereo video data collection and completed a reef ecology course. With an interest in marine conservation, Anna is excited to be in the Marine Affairs Program and hopes to focus her research on the integration and implementation of the ecosystem approach within management strategies. Her objective in the program is to obtain a strong background and understanding in marine management and policy and to apply the information to finding innovative approaches to solving marine conservation problems. Dena Richardson is a part-time student in the Marine Affairs Program. Dena graduated from the Canadian Coast Guard College in 2003 with a diploma of Nautical Sciences and a Bachelor of Technology (Nautical Sciences) from Cape Breton University. After a successful ten-year term with the Canadian Coast Guard, and with desire for continued growth, development and change, Dena accepted a position with Transport Canada as a Marine Security Inspector. Dena currently resides in Halifax with her husband John and son Jack. She is very excited about returning to the classroom, particularly in a program fostering education of the Marine Transportation system and principles of Ocean Governance. Dena hopes that the knowledge and experience she will gain in the Marine Affairs Program will assist in her current day-to-day activities with her Transport Canada stakeholders and further aid in her continued professional career development within the Federal Government. Jenna Stoner’s broad research interests fall under the umbrella of sustainable seafood. Specifically, she questions the growing role that aquaculture is playing in global food security, the long-term viability of farming carnivorous finfish (particularly with respect to its high dependency on feed inputs), and the role and responsibility of seafood ecolabelling. She is increasingly recognizing the importance of taking an integrated, big-picture approach to these issues in order to minimize the tendency of environmental problem shifting across ecosystem boundaries (both environmental and social). Since completing her B.Sc. in biology and ocean sciences at the University of Victoria, Jenna has worked on a variety of projects related to marine finfish aquaculture through the Seafood Ecology Research Group, Global Aquaculture Performance Index, and the SeaChoice Sustainable Seafood Program. Joining the MMM program has been a natural step for Jenna as it has provided her with a key platform to intertwine multi-disciplined, course-based learning with interactive, hands-on experiences. 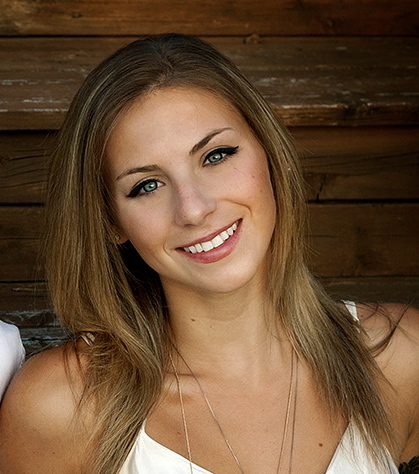 Alexandra Vance completed her undergraduate degree at Dalhousie University in May 2011,with a major in Biology and minor in Environmental Science. Having initially focused upon genetic profiling and family reconstruction, Alexandra chose to instead pursue an integrated graduate degree to further develop holistic ecosystem-based management approaches within Atlantic Canadian coastal zones. During her tenure in the Marine Affairs Program, Alexandra intends to focus upon integrated coastal zone and ocean management, thus integrating the local social, economic, and ecological systems into the science-policy interface to ensure successful sustainable development. Alexandra intends to pursue the examination of seagrass (e.g. eelgrass, Zostera marina L.) populations along coastal Atlantic Canada and their role as ecological indicators. Recently recognized as an Ecologically Significant Species (ESS) for its role in supporting coastal biodiversity and providing a variety of essential ecosystem services and functions, seagrasses have demonstrated a multitude of socio-economic and ecological importances. In light of the growing bivalve aquaculture industry in Atlantic Canada, it is worthwhile to investigate the relationship between seagrasses and bivalve aquaculture, as well as the threshold at which the relationship becomes mutually detrimental. Graduate Project Research - Applying and ecosystem-based risk management approach to the relationship between Eelgrass beds and oyster aquaculture at multiple spatial scales in Eastern New Brunswick, Atlantic Canada. Rachel Wang is currently a Master of Marine Management (MMM) candidate at Dalhousie University. Rachel holds a Bachelor of Science honours degree from Queen’s University in Kingston, Ontario, specializing in Biology and Environmental Studies. 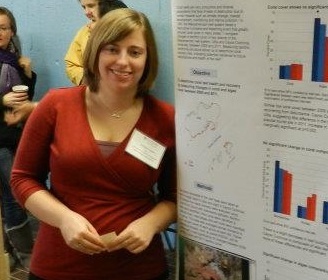 Her undergraduate thesis was an evolutionary ecology study identifying the impacts of geographical barriers on the North American tree frog, Pseudacris crucifer. Having a background in ecological conservation, Rachel has always been an advocate for the protection of biodiversity with a telling curosity for the marine envrionment. As such, she has growing interests in the science-public-policy interface; specifically, in engaging the public to create marine policy action. While this is only one among many of her interests, Rachel’s main objective during her time in the MMM program is to bring unwavering enthusiasm and a genuine hard work ethic towards any project she undertakes.